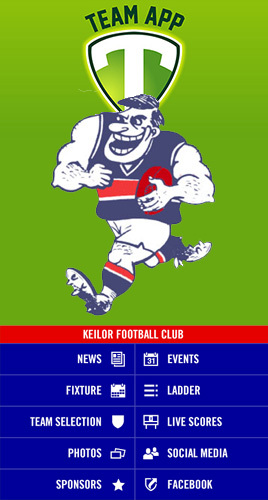 The Keilor Football would like to announce all the training details for our Junior boys & girls age groups going forward to start season 2019. Time – 5:00pm – 6:00pm. Time – 4:30pm – 5:30pm. Time – 5:30pm – 6:30pm. Time – 6:30pm – 7:30pm. Time – 6pm to 7pm. Please arrive 15 mins prior to this time. Please brink hat, drink bottle and wear runners only to every session. Time – 5pm – 6pm Standard Training: Optional fitness/running sessions 6pm – 6:30pm. Training will then continue on Mondays & Wednesdays at Keilor Park Stadium Drive Oval No 4 – opposite council depot 5pm to 6pm.There will then be an optional sessions from 6pm – 6:30pm that will be fitness/running based. Please bring hat, drink bottle and wear runners only to every session.